manila fashion observer: Love! Love! Love! Got these scans (Glamour UK August 2008) from Punky B's blog! I have similar items from my wardrobe so I'm super inspired to re-create these looks! 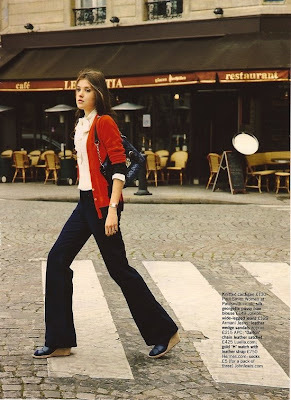 wheeeee ive always loved wide leg jeans and pants, and i like the fact that heels are a must for long ones too. i've tried it and i got so many compliments! me too! me too! i thought wide leg jeans are gone. im so happy to your blog. love the looks. 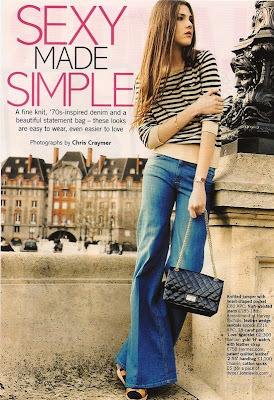 I have my wide leg jeans as well and I dont think I have worn them enough =) Thanks for the ideas too. The socks/peep toes will be so great when the cold months come in.